Caption slip reads: "Photographer: Lapp. Date: 1961-09-07. Reporter: Waymire. Assignment: New products show. 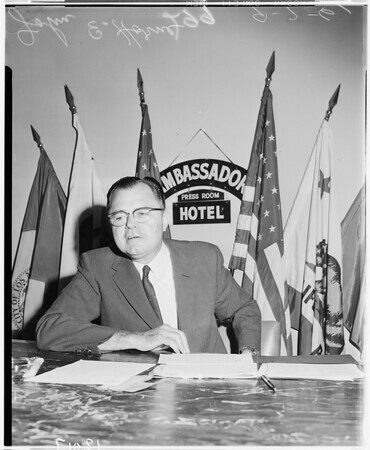 65/66: John E. Horne, administrator, Small Business Administration. 69/70: K. Cathie Taylor, singer, with prefabricated fall-out shelter. 7/8: Marilyn Piddington (cq) (in new 'compact' helicopter)".